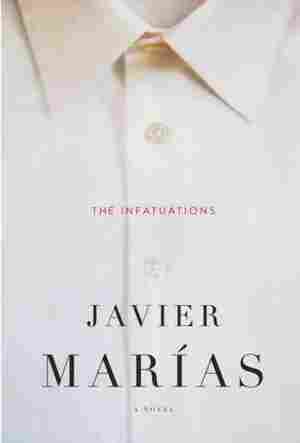 The Infatuations NPR coverage of The Infatuations by Javier Marias and Margaret Jull Costa. News, author interviews, critics' picks and more. Maria Dolz breakfasts daily at a Madrid cafe where she fantasizes about her fellow patrons' idyllic marriage. 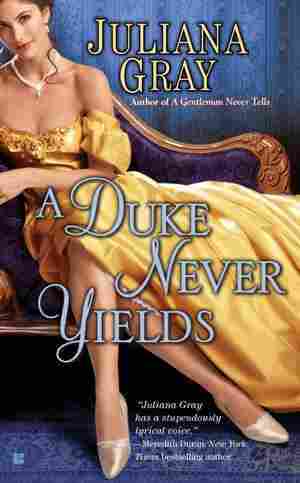 But when she offers condolences to a widow whose husband has been shockingly murdered, she finds herself in a new relationship and with disturbing insights into the crime. August 12, 2013  Spanish novelist Javier Marías is well-known in Europe, but not as popular in the United States. Critic John Powers says Marías' latest work — an unsettling, slightly sinister twist on the mystery novel — ought to raise the author's profile here in America. The last time I saw Miguel Desvern or Deverne was also the last time that his wife, Luisa, saw him, which seemed strange, perhaps unfair, given that she was his wife, while I, on the other hand, was a person he had never met, a woman with whom he had never exchanged so much as a single word. I didn't even know his name, or only when it was too late, only when I saw a photo in the newspaper, showing him after he had been stabbed several times, with his shirt half off, and about to become a dead man, if he wasn't dead already in his own absent consciousness, a consciousness that never returned: his last thought must have been that the person stabbing him was doing so by mistake and for no reason, that is, senselessly, and what's more, not just once, but over and over, unremittingly, with the intention of erasing him from the world and expelling him from the earth without further delay, right there and then. But why do I say "too late," I wonder, too late for what? I have no idea, to be honest. It's just that when someone dies, we always think it's too late for anything, or indeed everything — certainly too late to go on waiting for him — and we write him off as another casualty. It's the same with those closest to us, although we find their deaths much harder to accept and we mourn them, and their image accompanies us in our mind both when we're out and about and when we're at home, even though for a long time we believe that we will never get accustomed to their absence. From the start, though, we know — from the moment they die — that we can no longer count on them, not even for the most petty thing, for a trivial phone call or a banal question ("Did I leave my car keys there?" "What time did the kids get out of school today? "), that we can count on them for nothing. And nothing means nothing. It's incomprehensible really, because it assumes a certainty, and being certain of anything goes against our nature: the certainty that someone will never come back, never speak again, never take another step — whether to come closer or to move further off — will never look at us or look away. I don't know how we bear it, or how we recover. I don't know how it is that we do gradually begin to forget, when time has passed and distanced us from them, for they, of course, have remained quite still. But I had often seen him and heard him talk and laugh, almost every morning, in fact, over a period of a few years, and quite early in the morning too, although not so very early; indeed, I used to delay slightly getting into work just so as to be able to spend a little time with that couple, and not just with him, you understand, but with them both, it was the sight of them together that calmed and contented me before my working day began. They became almost obligatory. No, that's the wrong word for something that gives one pleasure and a sense of peace. Perhaps they became a superstition; but, no, that's not it either: it wasn't that I believed the day would go badly if I didn't share breakfast with them, at a distance, that is; it was just that, without my daily sighting of them, I began work feeling rather lower in spirits or less optimistic, as if they provided me with a vision of an orderly or, if you prefer, harmonious world, or perhaps a tiny fragment of the world visible only to a very few, as is the case with any fragment or any life, however public or exposed that life might be. I didn't like to shut myself away for hours in the office without first having seen and observed them, not on the sly, but discreetly, the last thing I would have wanted was to make them feel uncomfortable or to bother them in any way. And it would have been unforgivable and to my own detriment to frighten them off. It comforted me to breathe the same air and to be a part — albeit unnoticed — of their morning landscape, before they went their separate ways, probably until the next meal, which, on many days, would have been supper. The last day on which his wife and I saw him, they could not dine together. Or even have lunch. She waited twenty minutes for him at a restaurant table, puzzled but not overly concerned, until the phone rang and her world ended, and she never waited for him again. From The Infatuations by Javier Marias. Copyright 2013 by Javier Marias. Excerpted by permission of Knopf.